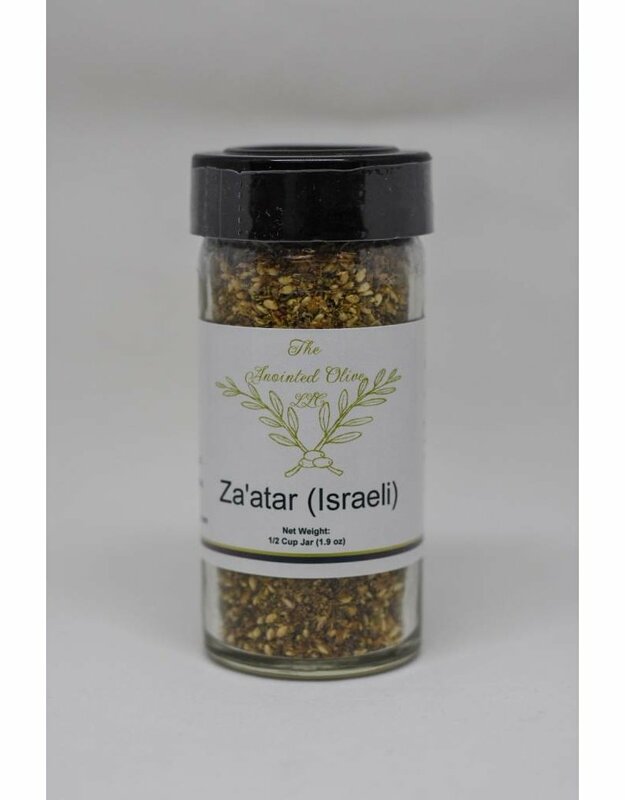 Za'atar, pronounced “zaa tur”, is also spelled zaatar za'tar, zahtar and zahatar, is a Middle Eastern spice blend that is used from North Africa and into Turkey. There is a bit of confusion surrounding za'atar as it has been used to identify everything from a class of herbs to a spice blend. What exactly is za'atar? It’s a wild herb, condiment, dip, spice blend and is even eaten by itself (yes it’s that good and some even call it a bit addicting). 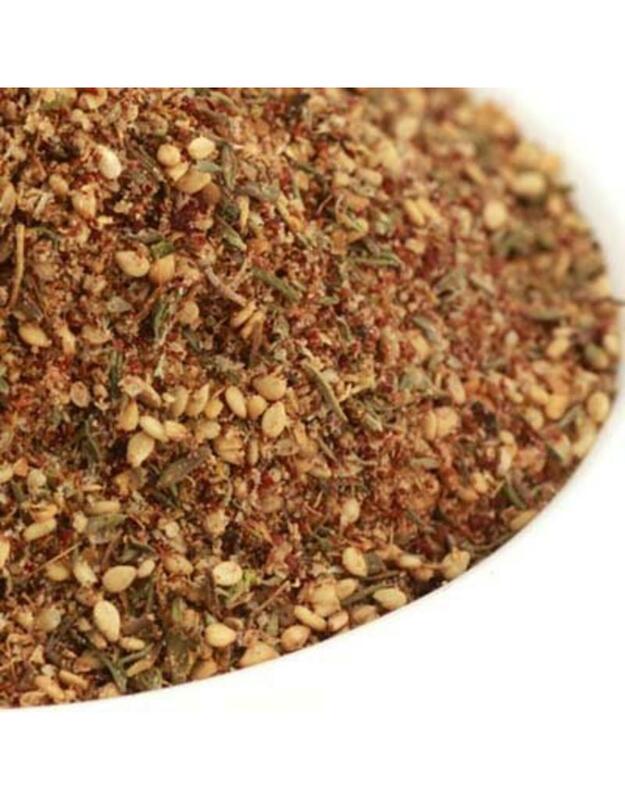 It’s an ancient cultural spice blend that serves as a unique identifying culinary badge that several nations throughout the Middle East. 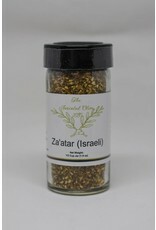 These nation’s all claim that their version is the truest and the best za’atar. 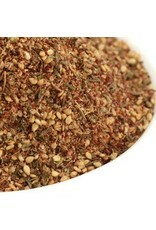 Obviously not your typical spice blend! The flavor profile of our Za’atar has a complex nutty and woodsy intensity while the sumac adds an acidic lift that is a bit tart like lemon juice. You’ll also pick up on the herby floral undertones.